Another dish from my Vegetarian Plate leftovers (see post from the other day for recipe)! 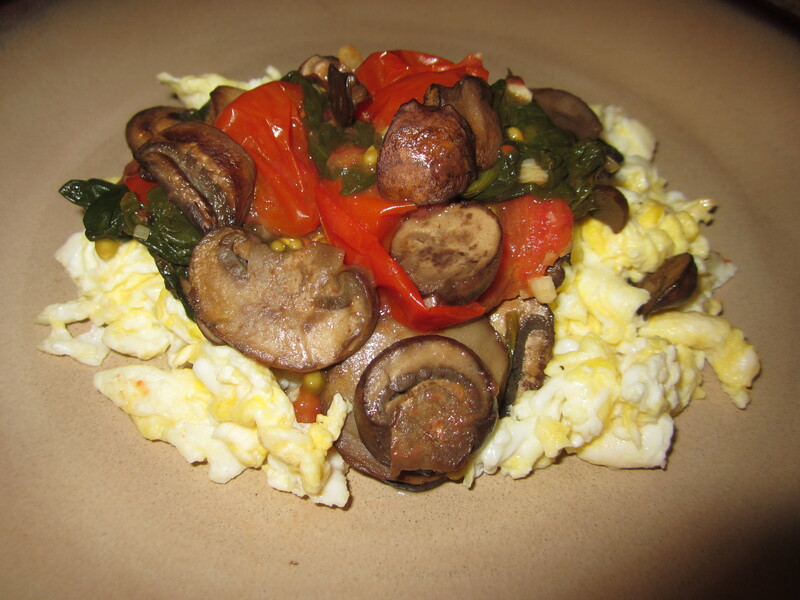 I used the Spinach, Tomato and Mushrooms as a topper for my scrambled eggs. Delish!